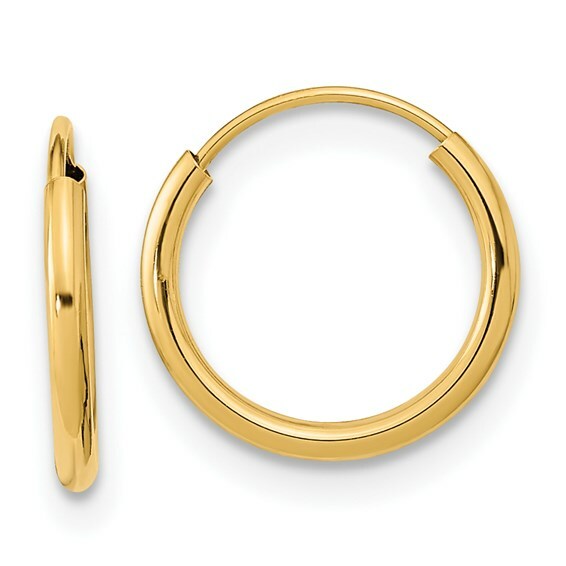 These dainty Kid's Madi K endless hoop earrings are made of polished 14kt yellow gold. Item size: 1/2in x 1/2in. Perfect size for a young girl to wear. Import. The earring are worn often.